A small car is ideal for getting around the big city or taking those road trips without blowing your budget at the gas pump. It’s no surprise that the 2016 FIAT 500 is a popular choice, and the new Toyota Yaris also enjoys the solid reputation of its manufacturer. Which one will provide you with more for your investment? We put these two distinguished models side by side to see where the difference are. 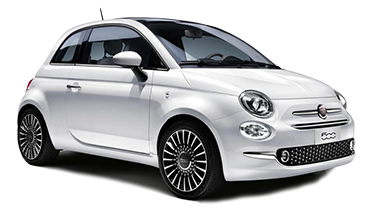 Take a look at the following information to see what the facts say and then come see the Italian engineered FIAT 500 in person here at FIAT of Tacoma, serving Kirkland, WA. When considering the design of your next small car, you are likely finding it difficult to beat the sophisticated yet fun Italian design of the 2016 FIAT 500 Pop. The Toyota Yaris has recently made some improvements to its exterior design, but the interior remains largely the same as years past. When you put these two vehicles next to each other, we think you’ll agree with us that the design difference is heavily in favor of the 2016 FIAT 500 Pop. Inside, you will also have the advantage of up to 30.1 cubic feet of cargo volume in the FIAT 500 Pop with versatile rear folding seats. With a Toyota Yaris, you will have to make do with just 15.3 cubic feet of cargo space. Discover more of the unique and brilliant design behind the 2016 FIAT 500 Pop when you come visit us at FIAT of Tacoma, serving Bellevue, WA. Comparing numbers on paper really doesn’t do justice to the difference in performance you will notice from behind the wheel. The Italian 2016 FIAT 500 and the Toyota Yaris do provide a respectable level of performance, but there are some differences to note. Though the Toyota Yaris shows a 5-horsepower advantage, you probably won’t notice the difference. What you will notice, however, is the superior fuel economy you will enjoy in a new FIAT 500. It would also seem that the Toyota Yaris plans on continuing to perform well over time based on its reputation while the FIAT 500 backs up its continued performance with a far superior warranty. Find out more when you come take the FIAT 500 for a test drive here at FIAT of Tacoma where we are proud to serve Renton, WA. When you first look at the entry-level 2016 FIAT 500 and the Toyota Yaris, you will notice that the Toyota Yaris has a slightly cheaper price tag–but this can be misleading. The stripped-down base model of the Toyota Yaris is lacking many of the standard features that come with the Italian-engineered 2016 FIAT 500. For instance, the entry-level FIAT 500 comes with keyless entry where you will have to pay more and upgrade the Toyota Yaris to enjoy this convenience. Similarly, cruise control with steering wheel control is standard in the 2016 FIAT 500 but will again cost extra to get a Toyota Yaris with cruise control. The list goes on to include safety features like an engine immobilizer and convex spotter mirrors on both sides found standard on the 2016 FIAT 500 which cost extra or are not available at all on the Toyota Yaris. 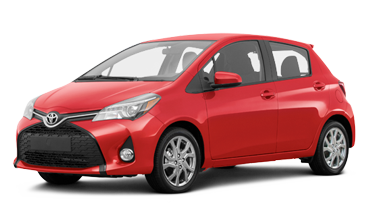 Once you add all of the standard features from the FIAT 500 to make the Toyota Yaris comparable, you will find that the Toyota Yaris is actually more expensive. Find out more and take a look at our huge selection of new FIAT 500 models here at FIAT of Tacoma south of Federal Way, WA.